Behind the Brand - Dr. Visha Patel of Visha Skincare – Love Yours Gives, Inc.
Love Yours Box - Relax. Restore. Renew. included a double portion of love from Visha Skincare, a Germantown, Tenn. based skincare company owned by Dr. Visha Patel. I spoke with Dr. Patel and it's now time to get "Behind the Brand" to learn why we love - Visha Skincare. Mia Banks: Dr. Patel, your 4-in-1 Advanced Eye Bright Booster is was featured in our most recent Love Yours Box. It's instantly moisturizing and minimizes puffiness in minutes as I've tried it on myself. How important is it to create products that do exactly what the label says? Dr. Patel: I’m a dermatologist and a cosmetic surgeon with access to a wide range of skincare and their claims -- So many times a brand does not live up to claims and this results in frustrated patients. I have formulated, tested and approved Visha Skincare to work! And not just work on one skincare issue, each product multi tasks and does more than one thing! The eye booster also works on the lines around the mouth as well as the eyes. Mia Banks: Yes! I'm all for one product that does multiple things. You've had years of professional experience and exposure, so the million dollar question is how does one best combat the aging process? Dr. Patel: The goal is to combat the process both inside and out. One must drink 6 glasses of water, get 8 hours of sleep, take a multivitamin and take a probiotic to maximize the body’s ability to decrease inflammation and aging. When it comes to skincare using a SPF > 30 on a daily basis and putting the right ingredients on your skin maximizes the fight against skin aging. Mia Banks: So basically your powerful quote, "Beauty is only skin deep. Let me take care of your skin. You take care of the rest," sounds accurate. Please elaborate. Dr. Patel: I take care of thousands of patients and their skin, that is not just my job, but my passion. The reason I created Visha Skincare was to be able to change not just my patients' lives, but the world... I know these products work, and in using them, the skin will look better -- giving confidence. Let me take care of the beauty of your skin, beauty is also manifested in ones actions, words, thoughts and kindness. Mia Banks: We couldn't agree more! All those words exude what we live by with Love Yours. 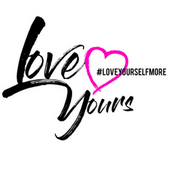 What does it mean to #loveyourselfmore? Dr. Patel: When you love yourself first, you will be able to love others and find your purpose in this world. Mia Banks: Well, looking at photos on your website, you are truly fulfilling your purpose. Your results are undeniable. Who is the ideal candidate for Visha Skincare? Dr. Patel: This line was formulated for everyone! Visha Skincare works on all genders and skin types. It’s the science behind the ingredients and formation that make this possible.